Jan Noya is currently studying a Bachelor of Arts with a Bachelor of Economics, majoring in International Studies and Politics. 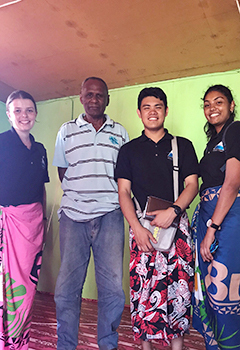 At the end of 2018, Jan completed a professional overseas internship in Fiji through Project Everest. He is also the President of the Adelaide University Filipino Club. Jan wanted to gain international experience, as a lot of his friends and professional mentors had told him that his degree was highly competitive. 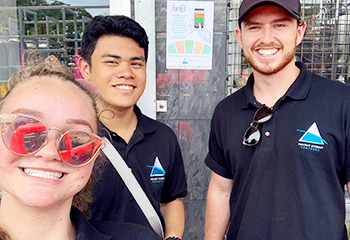 While looking for internships, Jan came across the provider Project Everest, which offered him the opportunity to gain international experience while also creating social impact. Jan still keeps in contact with the many friends he made on the Project Everest program. Those who also live in Adelaide all met up recently to catch up over Korean BBQ. He hopes to work for the Department of Foreign Affairs and Trade (DFAT) in the future, specialising in East Asian trade and international security. “I don’t specifically have a plan, but I’ve been searching for opportunities to broaden my experience. I’ve written articles for the Organisation for World Peace to gain the opportunity to use my university knowledge and theories. I’ve also completed an internship with Workforce Blueprint, researching and studying international workforces and education systems, and of course I’ve completed the Project Everest internship. I want to continue getting international experience by learning more practical work, and I hope to do an internship with an organisation that focuses on East Asian studies. 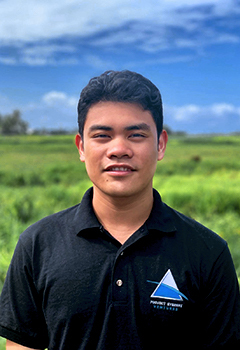 In the next six months, Jan hopes to lead and grow the Filipino Club effectively through creating a large range of social events, and apply for exchange to South Korea to further broaden his international experience. Interested in joining the Adelaide University Filipino Club? You can follow them on Instagram at @aufc_filipinoclub, Facebook at /uofa.aufc, or head to their website. If you would also like to apply for a Project Everest venture, please go to our Short Programs web page. If you would like to apply for exchange, please go to our Exchange web page. This entry was posted in Faculty of Arts, Faculty of Professions, Short Programs, Student Blogs, Study Overseas Alumni and tagged clubs, comfort zone, Faculty of Arts, Faculty of Professions, Fiji, project everest, real talk, Study Overseas Alumni. Bookmark the permalink.